The nature of mediation is that when Ron is in session he is normally unavailable for conversations for the entire day. Below you will find both phone and email information. You may find that emailing Ron will result in a faster response as he can often handle your issue after hours. "Ron has clearly demonstrated excellent ability to identify pertinent facts, apply principles of law, and analyze complex legal issues. He has maintained his neutrality and conducted himself professionally at all times regardless of the stressors naturally present during dispute mediation. Ron is focused, dedicated honest and ethical. He has demonstrated tenacity and follow-up far beyond the level I have observed from other mediators. Ron's extensive litigation experience makes him a particularly effective mediator." 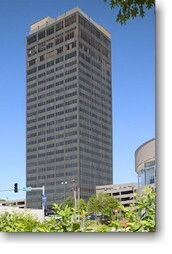 The St. Louis Mediation & Arbitration Center is located in the University Club Tower at 1034 South Brentwood directly across Brentwood Boulevard from the St. Louis Galleria. 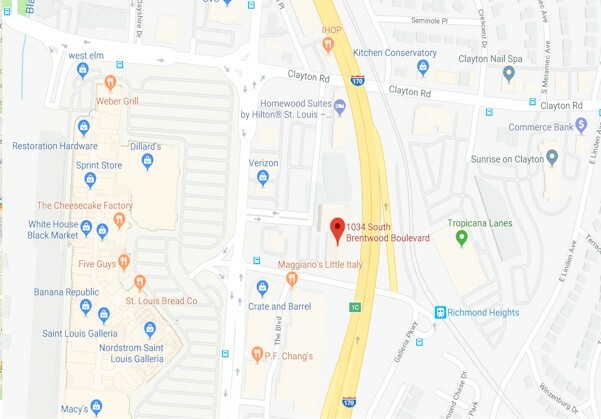 From east or west take Interstate 64 (U.S. Highway 40) to the Brentwood Boulevard exit. Turn North on Brentwood Boulevard and turn right at the stoplight following Galleria Parkway.